Dry cleaning/Laundry Business Plan in Nigeria is one of the many lucrative business in Nigeria that requires a lot of strategic planning from the part of prospective entrepreneurs to start.Laundry Business Plan in Nigeria involves articulate Implementations of strategies and that is why BusinessPlaninNigeria.com.ng has posted this comprehensive and updated Laundry Business Plan in Nigeria feasibility study. Dry cleaning/ Laundry is the business of provision of cleaning services which encomprises janitorial cleaning, upholstery and other domestic cleaning services which could include of rugs, walls (especially tiles) and windows. Also included sometimes are services rendered to corporate and commercial entities. The business of dry cleaning is a highly specialized venture requiring a great deal of efficiency. For many reasons, setting up a laundry businesses is a goldmine as there any many people would would easily part with money that doing the rigorous duties involved in laundering. For some busy folks, our job demands so much from us that we would rather come home to rest than do the laundry. For reasons too numerous to count, the Dry cleaning business has become a highly profitable venture in Nigeria… And guess what? 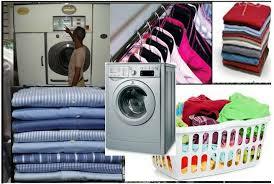 To setting up the Laundry business in Nigeria does not required massive capital as many would think . You can actually startup a profitable dry cleaning business in Nigeria the comfort of your home with just the basic needed equipment and materials. As you already know,business thrives on the premise that busy executives and socialites will want to have their expensive clothing’s and apparels cleaned and maintained. Some of the methods used by dry cleaners include; starching, dying, warm rinsing and use of chemicals to remove dirt and stains from clothes and adding fragrance to them as well. a) Location: Location of your Laundry shop matters alot, Startup will have a better chance at success if you identify an area, neighborhood where the standard of living is average and above average. b) Level of Competition: Dry cleaning and Laundry business is indeed very lucrative but for a startups locating into a ground already occupied by several dry cleaning services may not be the best move unless you are totally sure that you have better incentives that will blow your competitors out of the water. before you Setup your laundry shop in any town or area do your business surveillance and find out the level of competition you could be facing. c) Finance: The amount of capital at your disposal will determine things like if you start with two staff or only yourself. These are some of the factors to consider. Now how exactly do you go about ensuring that you start and run a successful Dry cleaning / Laundry business. The Small scale; which requires as low as N 5,000 to start. It could begin with staff strength of between one to three. The washing is done manually until it grows to having one or two domestic washing machines. The medium Scale starts with one or two domestic washing machines and staff strength of about four to eight. This set up can manage client strength of about fifty to hundred. The Large scale; as the name implies, it is set up for a professional standard laundry business, with heavy duty modern equipment to serve as high as a thousand clients. Usually with more than one outlets to serve as customer service centres. For the Remaining part of this DRY CLEANING / LAUNDRY BUSINESS PLAN IN NIGERIA FEASIBILITY STUDY PDF, containing a well detailed financial analysis. After payment text your name, your e-mail address to 07036785443 and immediately I will send a copy of the DRY CLEANING / LAUNDRY BUSINESS PLAN IN NIGERIA PDF to your email box.